ReCircle Recycling – Coming full circle: What happens to your closed-loop products? What happens when my ReCircle needs emptying? Your ReCircle appliance is indicating that it’s full of clean, separated, high-quality recyclables. You’ve requested a pick-up through the ReCircle App and placed the product storage container (PSC) at the curb-side. But what happens when the truck arrives to collect it? Triggered by your ReCircle App request, your pick-up is logged by the run-allocation software. It will determine which are the available product collection vehicles (PCV) and when they would be able to do your pick-up. The product collection vehicle (PCV) could be some hours away or in the next street. Either you make a selection or the systems provides the cheapest cost and quickest pick-up schedule. When the PCV reaches your PSC an electronic handshake confirms that your centrally held ID matches the ID and location of your ReCircle appliance and PSC. The security device that prevents anyone from stealing your valuable recyclables is disabled. The PCV extends a platform with two rubberised pads on a hydraulic arm. The pads capture the PSC and seat it on the platform. Features on the base of the PSC align with cut-outs on the platform. It’s locked in position and then the hydraulic arm aligns the material chutes on the side of the PCV. The segregated products (or “ReProduct®”) in the PSC are weighed before being released into segregated chutes and then poured into one of the PCV’s segregated bulk material storage bins. The transfer uses technology already employed extensively in industry. The weight of each ReProduct® is recorded by the ReCircle central system and credited to the customer’s account to determine both the cash and the environmental value of the householders close-loop recycling effort. The PCV then closes the PSC, re-engages the security device and replaces the PSC on the curb-side. The App sends you a message that your PSC is ready to refit to your ReCircle appliance. The PCV then continues on its route collecting the contents from multiple PSCs until its onboard storage is full. It then returns to the local transfer station where the PCV’s individual bulk storage bays are unloaded. In the early days of the rollout, the products will be stored in special containers, such as bulk collection bags. As ReCircle’s system expands, they will be transported to specific silos for each product type and stockpiled until a manufacturer orders a tanker full of ReProduct®. A mid-sized manufacturer may require multiple tankers of ReProducts per week. The PVC’s precise hydraulic clamping and positioning systems have operated in the forklift industry for decades. Due to the low unit numbers and different configurations, most waste-collection vehicle currently in use are essentially custom made or at least fabricated in small batches. Additionally, waste trucks need to be sturdy to sustain the high forces produced by the hydraulic rams that are required to squash the waste picked up. Such features add significantly to the manufacturing cost of the truck. ReCircle’s PCV will use a combination of existing systems tailored to suit the PSC collection. The volume of ReProducts are factors lower than the volume of current recycling bins. Hence, no high-force high-cost hydraulic rams are required. The unit cost to roll-out PCV’s will be significantly lower than the current waste or recycling trucks. The ReCircle PCVs will be on a trailer, look similar to a large horse float and be towed by a four-wheel drive SUV or truck. To retain the integrity and thereby the value of each of the ReProducts, they must always be kept clean and free from contamination. When a PCV returns to the bulk transfer station, an automatic docking system connects each PCV bin to each bulk transfer station silo. Each PCV bin contents will be pneumatically transferred to the respective silo minimising any chance of contamination of the high-purity high-value ReProducts. When a manufacturer orders a ReProduct® for manufacturing, a bulk tanker will be dispatched to the transfer station and load the ReProduct®. Again the product transfer will be carried out pneumatically. Pneumatic transfer of material from silo to vehicle or the other way around has been used for decades. A well know example is the concrete industry. The ReCircle bulk ReProduct® system is very similar. The ReCircle appliance sorts, cleans, processes, segregates and stores the ReProduct® in a single operation. 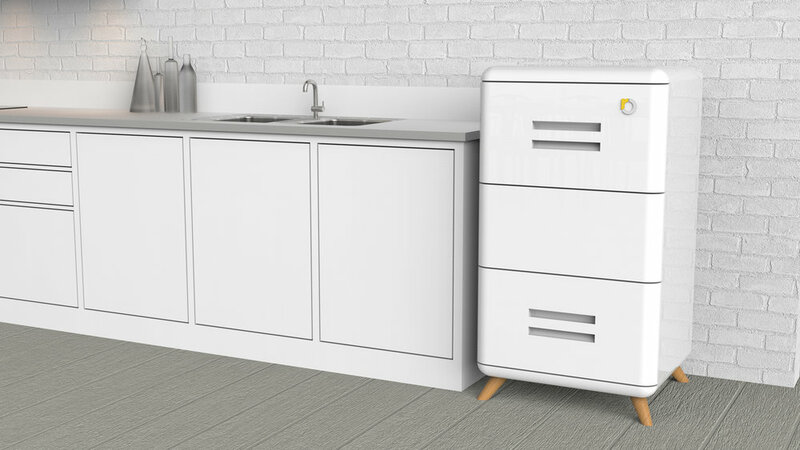 It combines the operations of a material recovery facility and a material processing plant into a single smart home appliance – in your kitchen. The processing and materials handling steps required to guarantee the used-materials move from the individual consumer to the manufacturer for closed-loop recycling are vastly reduced. The result is a significant reduction in material loss and zero contamination. Much more of your used-materials will be closed-loop recycled once you place them in your ReCircle. This means that whatever used-materials are processed will be able to be made back into products of the same value as the original item you placed in the appliance. The cleaned, separated PET flakes are manufacturing inputs to produce new plastic bottles. Colour separated and debris-free glass cullet will be the preferred input for glass remelt furnaces. Here-in is one of our perception barriers. We think of our used-packaging containers as waste. However, we don’t think of our worn-clothes as waste nor our dirty dishes as trash. We have household appliances – washing machines and dishwashers so we can wear our clothes again and our plates can be used for tomorrow’s diner. The ReCircle is to your used-packaging containers as your washing machine is to your worn clothes and your dishwasher is to your dirty dishes. Your ReCircle will allow you to see your used-packaging containers as valuable and never ever waste or trash. If we want to make a real difference in the circular economy, increase the use of used-materials and start really closing-the-loop, we need to treat our used-materials with as much care and attention as the virgin material most of them were originally manufactured from. Manufacturers who use recycled content in their products, whether plastic or glass, are reluctant to use materials collected from curb-side collections for two main reasons: consistency and contamination. The problem with current the curb-side single bin recycling system is that it mingles materials at source, vastly reducing their value and their potential for genuine recycling. Even when materials are separated at source in systems such as bottle-deposit schemes, the final sorting and removal of contamination such as neck rings is done en masse, increasing the margin for error. The driving principles behind the ReCircle process are the segregation of materials at source and ensuring that they stay clean and uncontaminated. Contamination in recycled glass, whether by metal fragments from neck sleeves and rings or borosilicate (pyrex) chunks, is difficult to detect, and causes significant problems in remelt furnaces. Metal fragments damage the liner of the furnace and repairs are costly and often hazardous, as they usually need to be performed while the furnace is still operational. Borosilicate melts at a different temperature to soda lime glass used in jars and bottles. This can cause imperfections in the glass containers produced and at worst causes entire production runs to be scrapped at great expense. In plastic manufacture, the production process needs to be meticulously controlled to mould or extrude parts based on the known properties of the material that’s being fed into the machines. If that material is inconsistent or contaminated, then the containers produced are the wrong colour, or their lids don’t fit properly. Again, this can cause whole production runs to be scrapped at a significant loss of time and money. To avoid such contamination, manufacturers perform quality pre-checks on the material, limit the percentage of recycled content in their products, and only use material sourced from more reliable segregated systems like bottle deposit schemes. They do not take material from co-mingled curb-side recycling. This is either down-cycled to low-grade uses where it cannot be recycled again, sent for energy recovery (incinerated), exported to a developing country, or, hopefully only as a last resort, landfilled. This leaves your single-bin recycling back where it started, in the bin. Many manufacturers report that the difficulty of obtaining a consistent supply of pure recycled materials prevents them from increasing their use of recycled materials. Assuming consistency of supply and consistency of high-quality matching those delivered by virgin materials, manufacturers will use all the recycled material they can buy. The purchase price will be at least that of the virgin material price, and more than likely earn a premium as well. The ReCircle system aims to eliminate the risk to the manufacturers by providing a consistent supply of clean, contaminate free products that they can rely on. 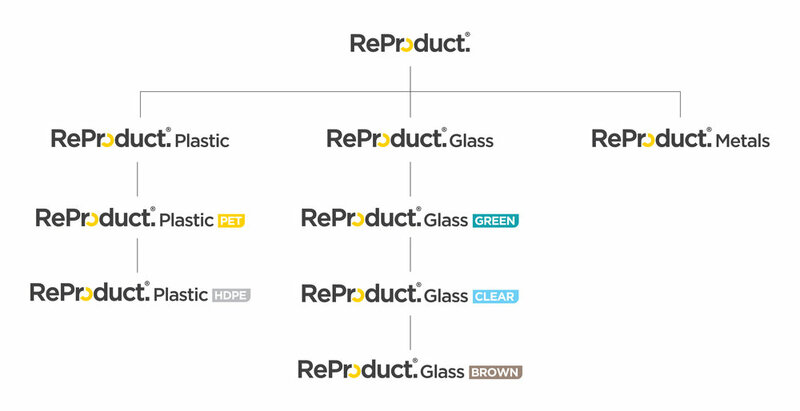 By establishing regular and reliable ReProduct® supply, ReCircle will guarantee that our valuable used-materials will be the source of manufacturers’ input material of choice. Help us create a truly sustainable closed-loop recycling system. Find out how you can help by joining our launch list using the form below. You can also join us on Facebook and Twitter. Previous PostWhat's next for ReCircle?